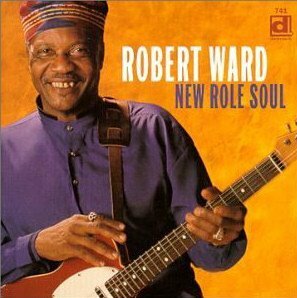 Robert Ward (October 15, 1938 – December 25, 2008) was an American blues and soul guitarist. He was known for founding the Ohio Untouchables, the band that later would become the Ohio Players. He played the guitar with a unique tone soaked in vibrato coming from the Magnatone amplifier. Born Robert Jeryl Ward into impoverished circumstances in rural Georgia, Ward had picked up his first guitar at age ten. Singles by Sister Rosetta Tharpe, B.B. 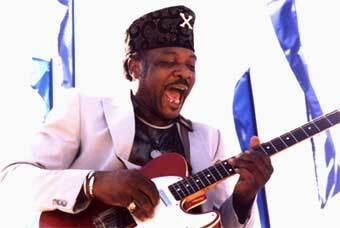 King, and Muddy Waters left their mark on the youth. 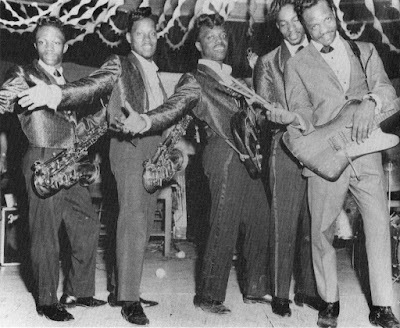 After a stint in the Army, Ward came home in 1959 and joined his first band, the Brassettes (who also included Roy Lee Johnson, soon to join Piano Red's band and croon "Mister Moonlight"). sound of Ward's amp that he bought a Magnatone as well; both continued to utilize the same trademark sound. 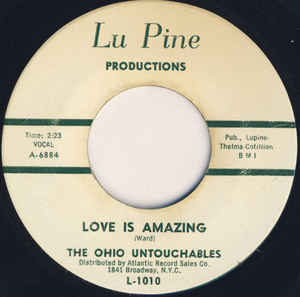 Detroit producer Robert West signed the Untouchables to his LuPine logo in 1962. Ward's quirky touch was beautifully exhibited on the hard-bitten "I'm Tired," a chilling doo wop-tinged "Forgive Me Darling," and the exotic "Your Love Is Amazing" for LuPine. In addition, the Untouchables backed Wilson Pickett and the Falcons on their gospel-charged 1962 smash "I Found a Love." Ward and his band also briefly recorded for Detroit's Thelma Records, waxing the driving blues "Your Love Is Real" and a soul-sending "I'm Gonna Cry a River." 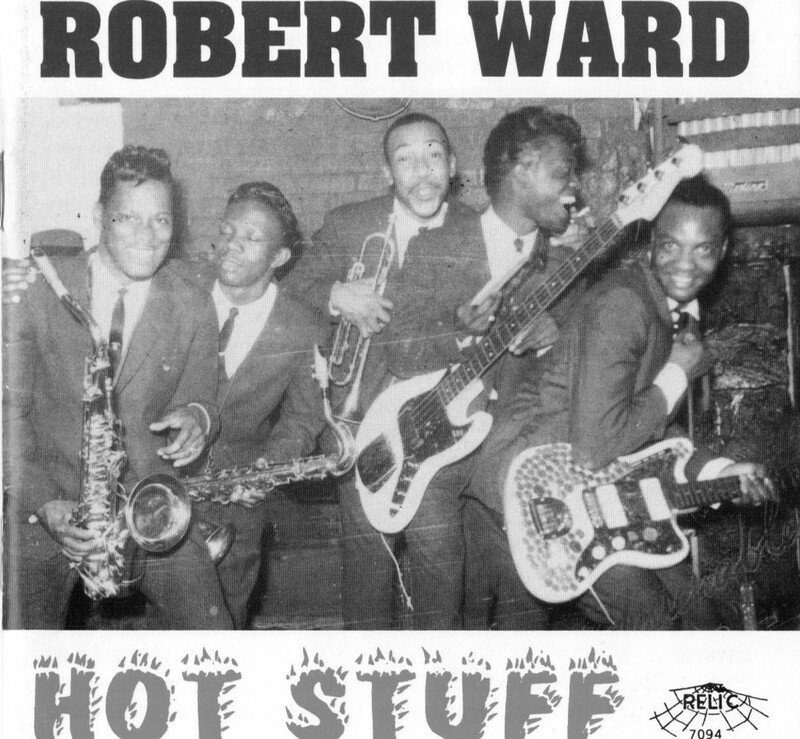 Ward left the Untouchables in 1965 (to be replaced by Leroy "Sugarfoot" Bonner), stopping at Don Davis' Groove City label long enough to cut a super Detroit soul pairing, "Fear No Evil" (the original version) and "My Love Is Strictly Reserved for You," circa 1966-1967. 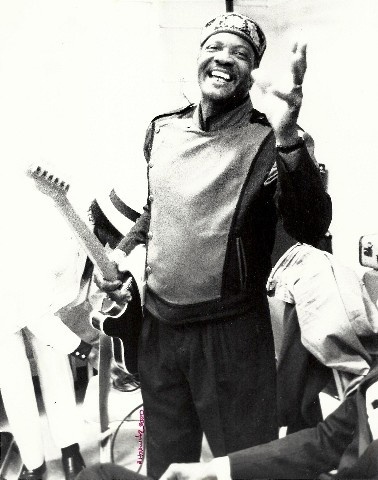 During the early '70s, Ward worked as a session guitarist at Motown, playing behind the Temptations and the Undisputed Truth (he was an old pal of Joe Harris, lead singer of the latter group). But when his wife died in 1977, Ward hit the skids. He moved back to Georgia, and served a year in jail at one point (ironically, one of his prison mates was singer Major Lance, whose career was at similarly low ebb). In 1990, that auspicious encounter with Hussong started the ball rolling for Ward's return to action. Black Top boss Hammond Scott signed the guitarist and produced the amazing Fear No Evil and a credible 1993 follow-up, Rhythm of the People. The label then issued a third set, Black Bottom, that once again captured Ward's curiously mystical appeal. 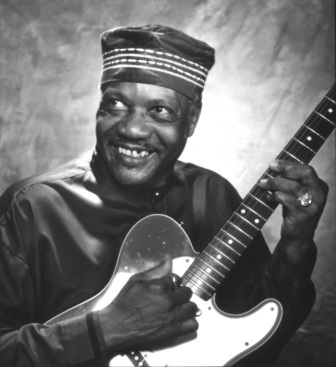 In the mid-1990s he did limited touring, including a date in Minneapolis with Curtis Obeda and "The Butanes", and several dates in Michigan including Kalamazoo, Three Rivers and Grand Rapids. Living in tiny Dry Branch, Georgia, with his second wife, Roberta, who contributed background vocals to his encore album, Ward resurfaced in 1997 with Twiggs County Soul Man, followed three years later by New Role Soul. In his last years he faced a series of health problems, including two strokes, which prevented him from performing or recording. He died at his home in Dry Branch, Georgia, about six miles from Macon, on December 25, 2008. This was Robert Ward in the earl y '90s at The Sweetwater in Mill Valley, CA, backed by "Little Village" Ry Cooder on slide, Nick Lowe on bass, Steve Douglas on sax, Tony Johnson on drums for this gig. Clearly the band did not know Robert's music & had no time to rehearse in advance of being on stage with him. But this is great footage for posterity, since there isn't a lot of live Robert Ward on YouTube. 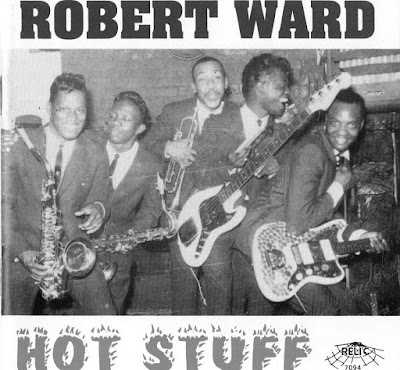 This collection of Robert Ward solo and Ohio Untouchables recordings from 1961-1967 is absolutely essential for anyone who is a fan of Detroit soul from the early '60's. Raw and driving (not Motown), this package has 19 tracks of Robert Ward with his Magnatone guitar amp plugged in and roaring away. These are the original LuPine and Groovesville recordings, and they have never been surpassed. Essential listening. Works fine this end! Try again.